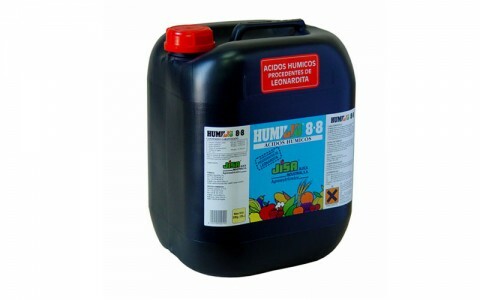 HUMILIG 8-8 is a liquid humic soil improver obtained from highly humified lignites (LEONARDITES). 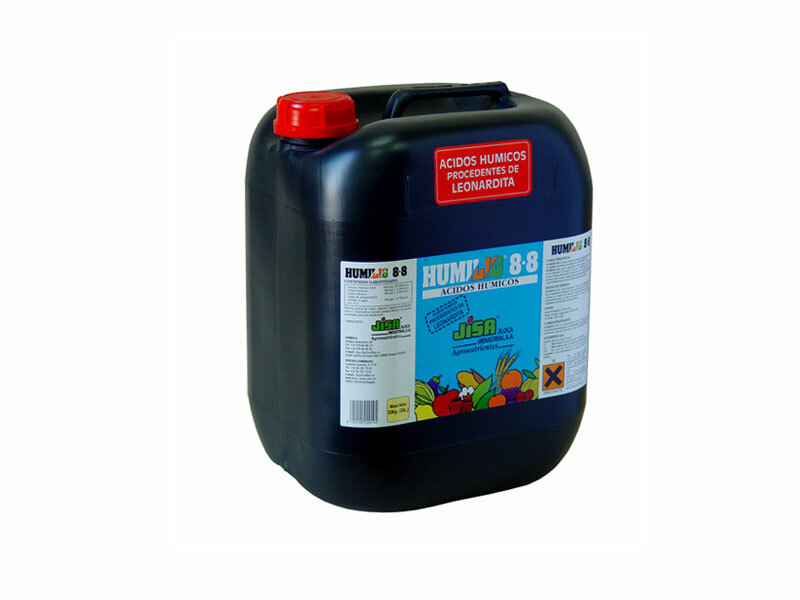 HUMILIG 8-8 has got a balanced concentration of humic acids and fulvic acids. 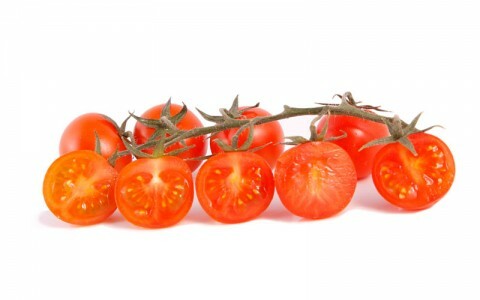 The application of humic acids, contributes, significantly to improve the physical-chemical and biological properties of the soil increasing the fertility, and at the same time it improves the process of releasing the primary nutrients and micro-nutrients existing in the clay-humic complex, providing a better disposition and development of the plant nutrients. 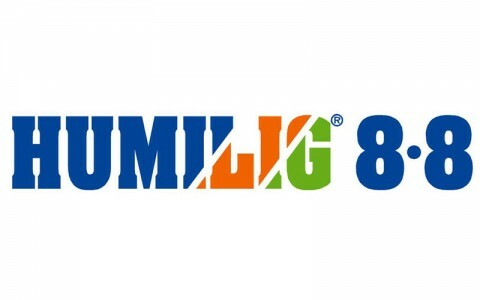 HUMILIG 8-8 can be supplied to the soil by any irrigation system to all kind of crops, during any stage of the vegetative cycle, preferably when the vegetative and productive processes are more active. 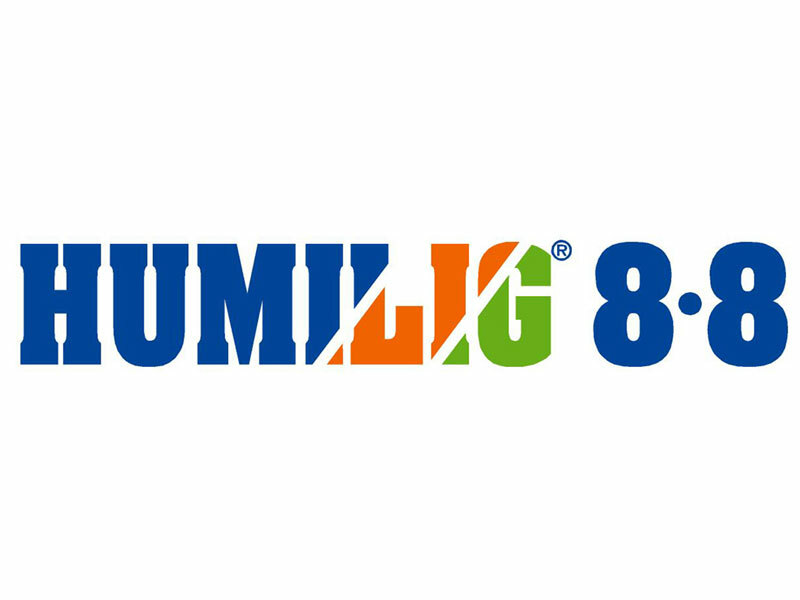 HUMILIG 8-8 is compatible with most of the phytosanitary and nutritional products, except those with low pH (acids). 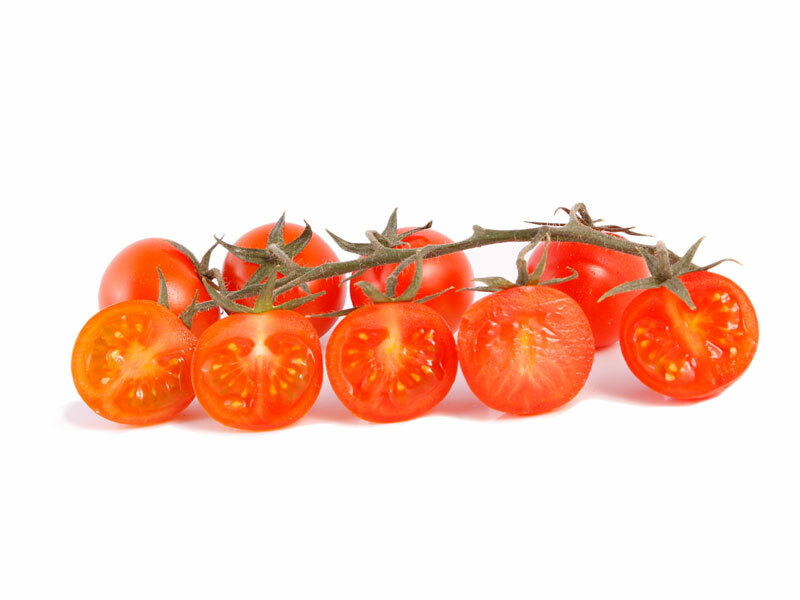 1; 5; 20; 220 and 1.000 L.